Your Best Choice when it comes to Brampton Painters! Welcome to Brampton Ontario. What a growing City this has become. Numerous new homes have popped up out of nowhere and still multiplying. Whether you have a brand new home or have been a resident of Brampton for some time, interior and exterior maintenance is so very important to this thriving community. A fresh coat of paint is just what is required to keep this busy city at its best. Platinum Pro Painters have been very busy in this area and are eager to assist you with this process. Do you have cupboards in your kitchen that are looking a little tired and worn? This is a specialty of our house painting professionals as you can see for yourself on our modern website for viewing. Perhaps a new baby at home? An adorable nursery is just the thing you would love to have but cannot decide on the decorating design or colours to use? Platinum Pro Painters are experienced in this field of expertise and will provide to you FREE of charge upon contract signing, a professional colour consultant to sit down with you and help you with your design ideas. It’s just one of the many benefits that you deserve from the best Painting Company in residential Painters Brampton. The exterior of your home is just as important as the inside. A beautifully painted front door in an accent colour is the wow factor that welcomes friends and neighbours into your newly decorated space. Sometimes, we are so busy in our lives that we fail to notice the little things like window trims, garage doors, eavestrophs etc. A fresh coat of paint will bring your home alive with colour and add years of protection in maintenance that you won’t have to consider for some time. Platinum Pro Painters are offering Brampton residents our advice and FREE quotation today. We are the house Painting Company that is just a phone call away. We look forward to hearing from you. If you find yourself with any questions about our Brampton interior painting, Ontario exterior painting, business painting, industrial painting in Brampton or commercial painting, please don’t hesitate to call Platinum Pro Painters. 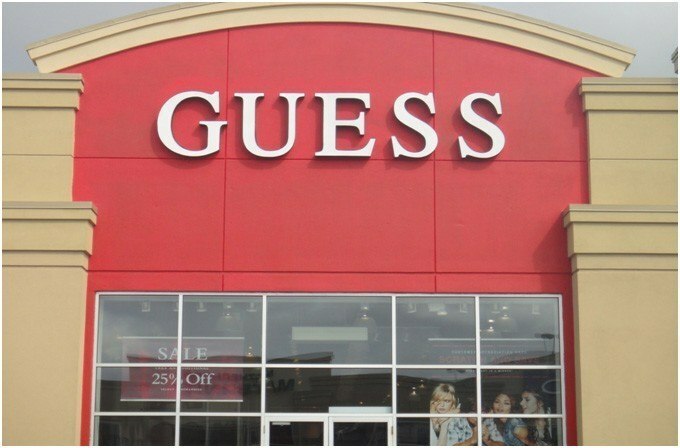 Exterior Painting project for Guess in Brampton, ON. Proudly Painted be Platinum Pro Painters Inc.